I sure hope I'm not confusing anyone here as I am starting to get a little confused myself but here goes.I have asked the AS moderators if we could get a Tool Forum on AS.So to show that there would be support for one I asked members to reply to a the thread I titled NEW FORUM.There has been what I think is a great response to the suggestion.So as suggested I am going to start a thread in the Chainsaw Forum titled Tool Forum! I think this thread would get the most attention here and maybe the response will be good. Hope this sit's well with you guy's.If not I guess I will here about it. 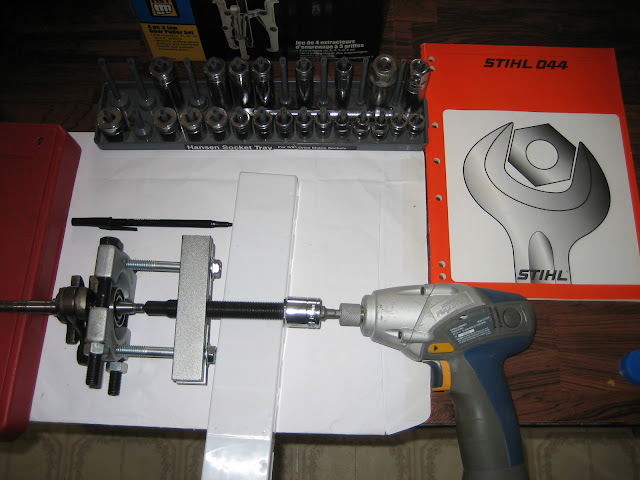 So this thread Tool Forum will be just that a Tool Forum.Go ahead and post your tool questions,aqquistions,tool reviews,what to buy ,what not to buy,repair questions concerning your tools,tradesman tools,diagnostic tools,handmade tools, which I think another member had got going somewhere,calibration equipment,hand tools,electric tools and the like.I know I am going to have a heck of a pile or questions to ask and am sure there will be others as well.Hopefully there will be responses to questions from very knowledgeable members here.As one member has already pointed out it may even save you time searching a bunch of other tool sites as well. Here's Hoping It Works Out! president, bflodder, Art Vandelay and 9 others like this. Heres my vac tester, mityvac there are some models that gauge pressure as well, this does not. I use my compressor at 8-10psi. craftsman impact driver, saws just fall apart when they see it, long T-27 bit $8. I find teh craftsman being one of the best choices, more powerful drivers are prone to snap screws more. always check them by hand to make sure there at the correct torq. hope this is what you want on here. best way to paint your saws, 150$ is all you need. plus an oven, you can get regular ones free but this one fits under the bench and runs off the 20amp compressor outlet. and another $100 for a poor mans sandblaster. compressor is a must in any garage, you can keep it simple and cheep or expensive and elaborate. I tried goign very cheep with HF regulators, BAD IDEA don't but em. all the bouls were cracked and leaked leaked hell. let me know if you want any more info on anything. hope on on track with this thread. jimdad07 and Blazin like this. jimdad07 and matt9923 like this. Matt, tell me more about the Powder coat system? You like? As durable as the "Pro" jobs? Color selection? Got any pics of stuff you've done? As you can tell I'm very interested in one. Art Vandelay and jimdad07 like this. By pro job do you mean powdercoatign shop? same thing. I'm a noob at it but its not that hard just takes some time and a lot of prep. Eastwood has 50+ colors, I used off white and its pretty close to Stihl Grey. They have any color you would need i'm thinking, ive herd you can mix powder but not sure. You can powder over old powder witch I did with the starter cover. It just looks like a imperfection up close. I have posted some of these picts on various other threads but as this is a dedicated tool thread I will post them here also. Porting tools. Philbert, president, backhoelover and 3 others like this. how do you like the mini impact? I want to get a mini Milwaukee. I would never want to be without one again, I now use 3 of them in the shop for everthing from running screws in and out to sockets on nuts and bolts. Flywheel pullers, clutch pullers and flywheel nuts and clutch carriers all get the impact drivers. My Makita 18V Li-Ion drill & driver set is the best money I've ever spent on tools. Those things will work all day long. You AS fellas are the best!Heh,I'm being serious your the best.This thread is off and rockin.This is some of the good stuff that can go on here.Absolutely Awesome stuff.I have one thing to ask.Try and pass this thread, the Tool Forum thread, found on the Chainsaw Forum around to all the fellas on here you know and talk to a lot.The more members that know about it ,the more the members will use it, and so on and so on. Thanks to you guy's for a great start! Yup its up and running, lets hope it catches on and runs as good as the Pioneer thread did, even better if possible. One of my favourites is a gasket cutter - a set of hardened steel rings with sharp edges that can make perfect holes in gasket material. 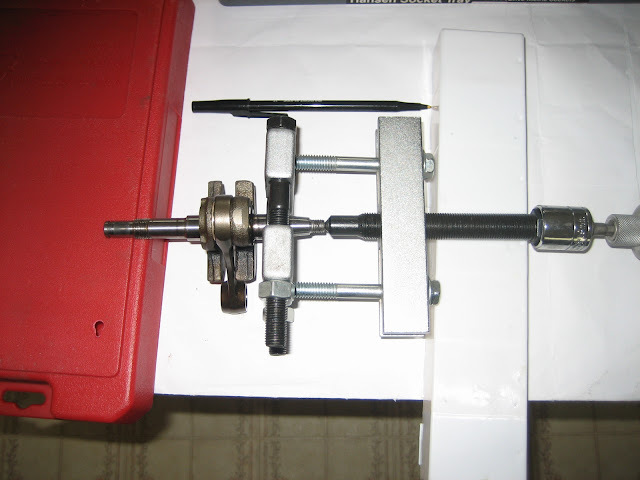 The tool means that gasket making is easy and accurate. With a couple of rolls of gasket paper (fuel resistant or not and various grades), I really don't have to worry about most gaskets. Paragon Builder and jimdad07 like this. Excellent. I've never seen one before. I just have the good old fashioned hole punches, and a pair of mini Gilbow tin snips, one straight and one curved for cutting gaskets, looks like I'll have to add a Boehm punch set to my Christmas wishlist. That Boehm punch set would be the ultimate hand held manual punch set for the making of gaskets, looks like it is only available in the UK. Too bad for us over here in NA.